DimpelDimpel knuffel doudou Mona de blauwe muisDimpel is an original Belgian brand, with a collection of very soft cuddles and doudou's available in a variety of animals...dogs, rabbits, elephants, ... Each of these animals gets a name such as Fifi the dog, Mona the mouse or Neela the Bunny. Now your favorite cuddle can be easily found when your baby lost his best friend. 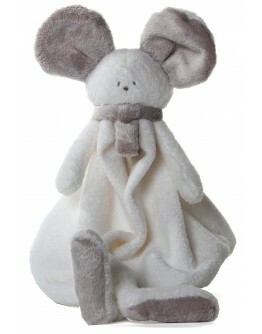 Grote Schatten recommends therefore, when you choose to purchase a doudou or cuddle, buy one or more in reserve. 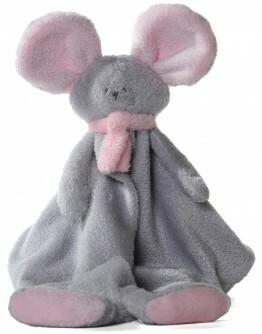 This can pr..
DimpelDimpel doudou Mona mouse grey - pinkDimpel is an original Belgian brand, with a collection of very soft cuddles and doudou's available in a variety of animals...dogs, rabbits, elephants, ... Each of these animals gets a name such as Fifi the dog or Neela the Bunny. Now your favorite cuddle can be easily found when your baby lost his best friend. 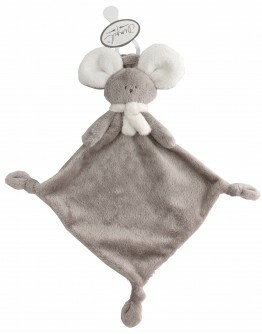 Grote Schatten recommends therefore, when you choose to purchase a doudou or cuddle, buy one or more in reserve. 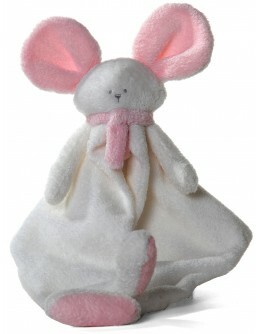 This can prevent a lot of hearta..
DimpelDimpel cuddle doudou Mona mouse pink-greyDimpel is an original Belgian brand, with a collection of very soft cuddles and doudou's available in a variety of animals...dogs, rabbits, elephants, ... Each of these animals gets a name such as Fifi the dog or Neela the Bunny. Now your favorite cuddle can be easily found when your baby lost his best friend. 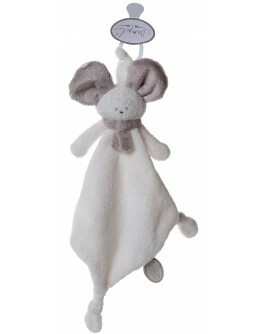 Grote Schatten recommends therefore, when you choose to purchase a doudou or cuddle, buy one or more in reserve. 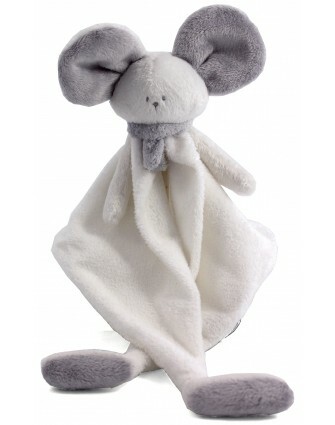 This can prevent a lot of h..
DimpelDimpel doudou Mona mouse white - grey Dimpel is an original Belgian brand, with a collection of very soft cuddles and doudou's available in a variety of animals...dogs, rabbits, elephants, ... Each of these animals gets a name such as e.g. Fifi the dog or Neela the Bunny. Now your favorite cuddle can be easily found when your baby lost his best friend. 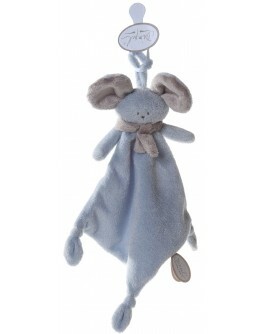 Grote Schatten recommends therefore, when you choose to purchase a doudou or cuddle, buy one or more in reserve. 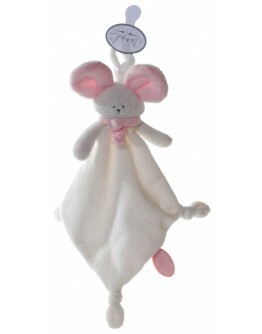 This can prevent a lot o..
DimpelDimpel doudou Mona mouse white - pink Dimpel is an original Belgian brand, with a collection of very soft cuddles and doudou's available in a variety of animals...dogs, rabbits, elephants, ... Each of these animals gets a name such as e.g. Fifi the dog, Mona the mouse or Neela the Bunny. Now your favorite cuddle can be easily found when your baby lost his best friend. 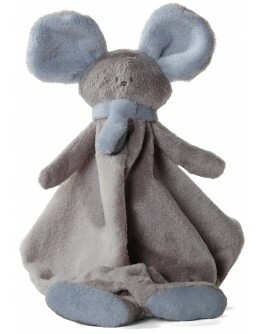 Grote Schatten recommends therefore, when you choose to purchase a doudou or cuddle, buy one or more in reserve. This can..
DimpelDimpel doudou tuttie Mona mouse beigegrey - blueDimpel is an original Belgian brand, with a collection of very soft cuddles and doudou's available in a variety of animals...dogs, rabbits, elephants, ... Each of these animals gets a name such as DIMPEL MONA THE MOUSE, Fifi the dog or Neela the Bunny. Now your favorite cuddle can be easily found when your baby lost his best friend. 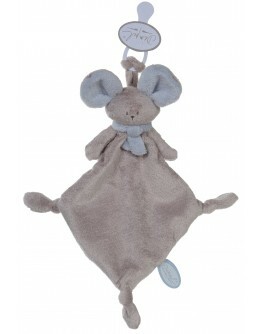 Grote Schatten recommends therefore, when you choose to purchase a doudou or cuddle, buy one or more in reserv..
Dimpel doudou tuttie Mona mouse beigegrey - white - LAST ONE! 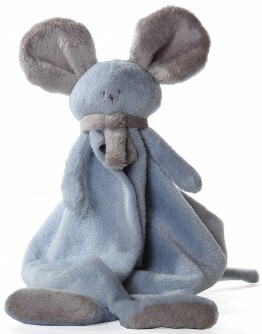 Dimpel Dimpel doudou tuttie Mona mouse blue - beigegreyDimpel is an original Belgian brand, with a collection of very soft cuddles and doudou's available in a variety of animals...dogs, rabbits, elephants, ... Each of these animals gets a name such as Fifi the dog, Mona the mouse or Neela the Bunny. Now your favorite cuddle can be easily found when your baby lost his best friend. Grote Schatten recommends therefore, when you choose to purchase a doudou or cuddle, buy one or more in reserve. 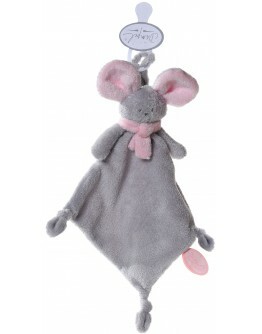 Th..
Dimpel Dimpel doudou tuttie Mona mouse grey - pinkDimpel is an original Belgian brand, with a collection of very soft cuddles and doudou's available in a variety of animals...dogs, rabbits, elephants, ... Each of these animals gets a name such as Fifi the dog, Mona the mouse or Neela the Bunny. Now your favorite cuddle can be easily found when your baby lost his best friend. Grote Schatten recommends therefore, when you choose to purchase a doudou or cuddle, buy one or more in reserve. 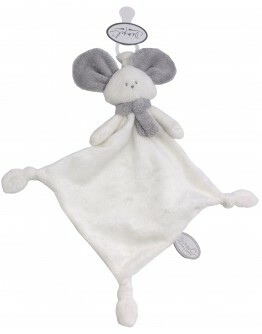 This ca..
DimpelDimpel doudou tuttie Mona mouse white - greyDimpel is an original Belgian brand, with a collection of very soft cuddles and doudou's available in a variety of animals...dogs, rabbits, elephants, ... Each of these animals gets a name such as Fifi the dog or Neela the Bunny. Now your favorite cuddle can be easily found when your baby lost his best friend. Grote Schatten recommends therefore, when you choose to purchase a doudou or cuddle, buy one or more in reserve. This can prevent a lot o..